The Sims 4 has a new expansion coming this Spring. 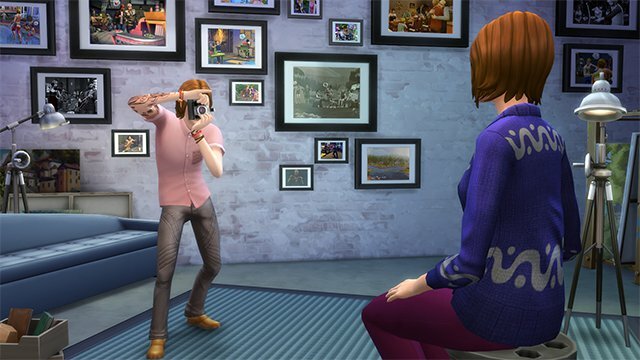 The Sims 4: Get To Work will add a lot of career-related features for the life simulator. 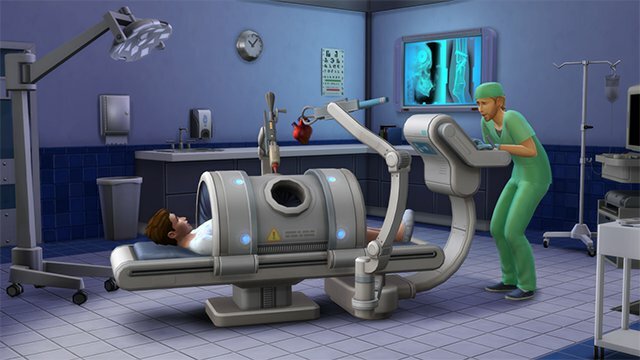 The expansion allows players' Sims to become doctors. They'll spend their days treating patients and even delivering babies. The latter might be welcome news to players miffed that Sims 4 didn't have toddlers at launch. If that's not exciting enough, players can make their Sim a cop and solve cases. They'll examine crime scenes, interrogate suspects and eventually make arrests. As he or she locks up more and more criminals, they'll work their way through the ranks of the departments and eventually become Chief. The third major career in Get To Work is the scientist. Players can build a range of inventions for good or evil. They may also have to capture a few specimens to help in their research. The scientist, like the doctor and police officer, has access to a new type of building loaded with special items to help them perform their job. Get to Work also enables players to create their own retail shop. The examples mentioned today include bookstores, clothing boutiques, bakeries, and art galleries. The store can be customized in many ways through Build Mode. Players are also in charge of managing employees and selecting their wares. New skills are the driving force behind these businesses. Players can create unique objects like photos or baked goods through these talents. They can decide to either sell their creations for Simoleons or proudly display them at home. Not all of the expansion pack's content has a career theme, though. Get To Work will mark the debut of aliens in the game. Players can find out which of their neighbors are secretly extraterrestrials and even travel to their dimension. EA said on the Sims blog that this is the first expansion pack for the game. I thought Outdoor Retreat was the first expansion but apparently that was a "Game Pack." The only difference I can tell between an expansion and a "Game Pack" is that the former is larger and costs more. Get To Work is $40, as opposed to $20 for Outdoor Retreat. 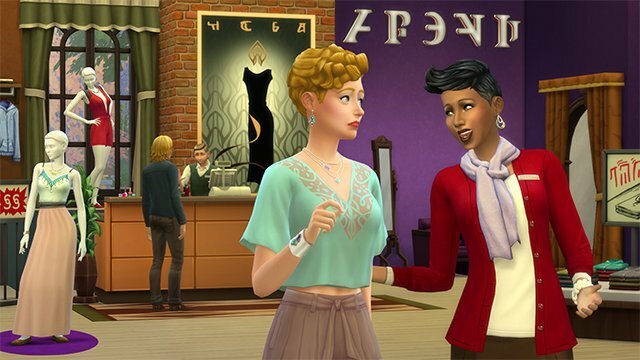 I'm sure we'll see a lot more of both types of add-ons before The Sims 5 rolls around. EA will release Get To Work on PC and Mac this April.